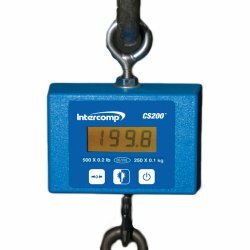 Kilotech KHS-C Industrial Hanging Dial Scale 125 lbRugged, heavy duty construction mechanical dial scale with 125 pound max capacity. Kilotech's KHS C3 series is a high quality industrial scale. Its sturdy, cast aluminium scratch resistant body and shatter resistant face cover makes it ideal for tough jobs of all kinds. The heavy duty welded steel mounting shackle ring and pointed large "J" hook make this scale ideal for butchers and hunters. The single sided 7.5" dual kg and lb dial is easy to read. 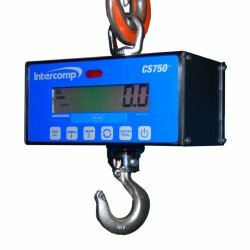 Kilotech KHS-C Industrial Hanging Dial Scale 250 lb.Rugged, heavy duty construction mechanical 250 pound dial scale. Kilotech's KHS C3 series is a high quality industrial scale. Its sturdy, cast aluminium scratch resistant body and shatter resistant face cover makes it ideal for tough jobs of all kinds. The heavy duty welded steel mounting shackle ring and pointed large "J" hook make this scale ideal for butchers and hunters. The single sided 7.5" dual kg and lb dial is easy to read. Kilotech KHS-C Industrial Hanging Dial Scale 540 lb.Rugged, heavy duty construction mechanical 500 pound dial scale. Kilotech's KHS C3 series is a high quality industrial scale. Its sturdy, cast aluminium scratch resistant body and shatter resistant face cover makes it ideal for tough jobs of all kinds. The heavy duty welded steel mounting shackle ring and pointed large "J" hook make this scale ideal for butchers and hunters. The single sided 7.5" dual kg and lb dial is easy to read.